Are you a nut producer or are you active in the field of nut packaging? Are you a producer of nutbased spreads? Leave aside traditional extraction methods that foresee the use of toxic solvents! We have designed the system to determine the oxidation state of hard shelled dried fruit that is most appropriate for your business: it’s CDR FoodLab®. 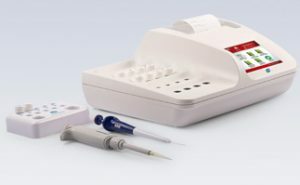 CDR FoodLab® is compact and handy and can be used in any environment: either in a laboratory, or at the production plant, or upon sale/purchase of the product without having to use toxic solvents. Solutions for Nuts was last modified: September 11th, 2018 by CDR s.r.l. With CDR FoodLab® you can obtain in a simple and rapid way a complete control on the oxidation state of hard shelled dried fruit, seeds and other similar solid samples. With the CDR system, you extract the oil to analyze with a simple mechanical treatment. Thanks to the Multitasking Mode, on the oil extracted you can determine in 5 minutes Acidity, Peroxide Valueand p-Anisidine Value, abandoning the use of toxic solvents, extraction hoods, complex analytical instruments and complicated methods. Several comparative studies have given evidence that the accuracy of the results of oxidation state tests is in line with the accuracy of the results yielded by the reference methods, while CDR FoodLab® is much easier to use and provides the requested results in reduced testing time. 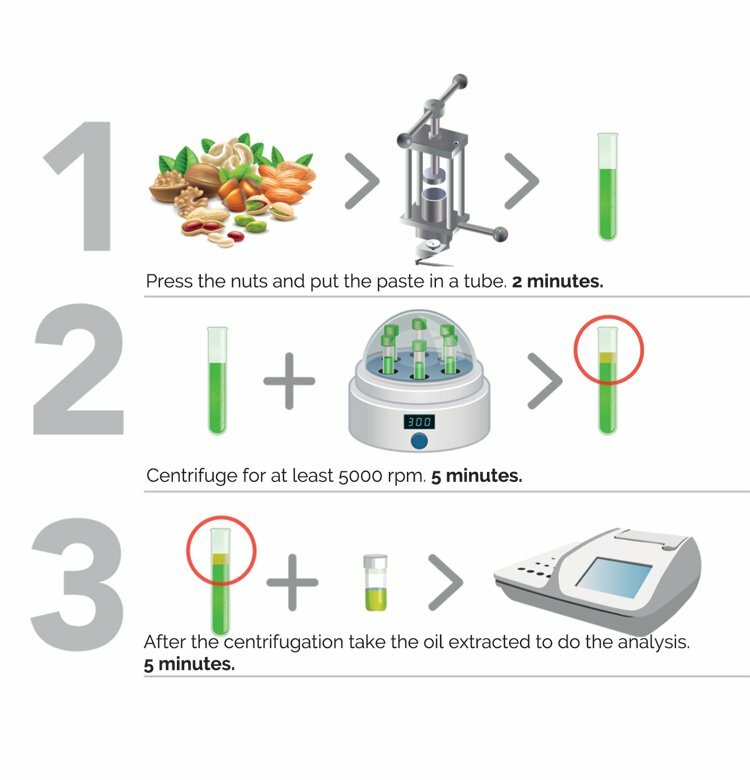 The CDR FoodLab® system for the determination of the oxidation state of hard shelled dried fruit can also be used to test any type of vegetable and animal fats and oils. Moreover, it can be configured to perform chemical analyses on eggs and egg products, milk and dairy products, tomato and tomato derivatives. No calibration procedure or maintenance operation is required. Results are obtained in just a few minutes. Used together with the dedicated extraction system developed by CDR, the CDR FoodLab® analysis system is particularly suites for all companies that are active in the field of nut production, processing and packaging. In fact, the leading companies in this market sector have also chosen CDR FoodLab® because it allows to rapidly assess the quality of nuts abandoning traditional testing methods that foresee the use of toxic solvents (Soxhlet). CDR FoodLab® fine tunes traditional testing procedures, making them faster and easier, while guaranteeing accuracy standards in line with the ISO/AOCS reference methods. Nuts are very rich in fats. That is why free fatty acids and peroxide value tests are constantly run by businesses operating in the field because they provide valuable information on the rancidity of fats and oils.